This is a true story… mostly. Almost every year, during late spring or early summer, I visit my mother at her home in La Paz, BCS, Mexico. Every so often, on these visits, I see something surprising. One year, I even saw a ghost. I call her The Lady of La Paz. The first time I saw the Lady was during the moon tide, when the water crept high up onto the beach, over the road, settling into pools of liquid silver. An airplane was flying low over the bay, heading toward the airport – the last plane of the night – and as its angle of descent shifted, its lights caught the wisps of the clouds that were still shrouding the moon, protecting us from the full power of its glow. Closer and closer the plane came, the bright front light changing the shapes of the shore, making creatures of the mangroves, and turning the shadows into living things. And that’s when she made her first appearance. Her face was hidden by a veil, but the shape of her hat was unmistakable, as were the lines of her turn-of-the-century dress. She held a parasol. Her pace was steady, every step measured and sure, picking her way across the hard-packed sand, following the cone of light the airplane was casting ground-ward. Just as she reached the point, the beam of light that held her began too thin, and her form to waver, as if she was dissipating on the faint breeze. That’s when the clouds finally melted entirely away, and the Lady turned to stare out to sea. She never looked my way. I never heard her voice. Somehow, though, I knew – I knew – that she was waiting – searching – pining for her lost love. I held my breath and watched, willing a man in a fedora to emerge from the waves and take her into his arms. But of course he never came. And when the moon left the sky to the sun, she faded into daylight. When I told my parents about seeing the Lady, my mother mentioned that she’d seen her, too, on the nights of the full moon. My step-father, on the other hand insisted it was just a trick of the light, a happy merging of surf and fog and the lights from the plane. I suppose I’ll never know for sure if the Lady of La Paz was real, or just a figment of my vivid imagination. The part of me that lives in the world of computers and technology and social media knows that moonlit nights and moon tides can do funny things to our perceptions. The part of me that still, deep down, believes in the possibility of ghosts and soulmates wants there to still be magic in the world. And who’s to say? Maybe the Lady was real at one point. In my head, she’s a pianist, a daughter of the family that owned the gold mine in El Triunfo, a student of Francisca Mendoza’s, and her lover is someone her parents would never approve of, a miner perhaps, or a seaman who helped to bring pianos to Baja Sur. I keep telling myself that someday I’ll write their story, and then they will become real. If you’re walking on a certain stretch of beach in Baja Sur – the one with the view of El Mogote and the city lights in La Paz – and you happen to find a full moon above you, and a moon tide lapping at your toes, keep careful watch as the last plane flies low over the water, en route to the airport. 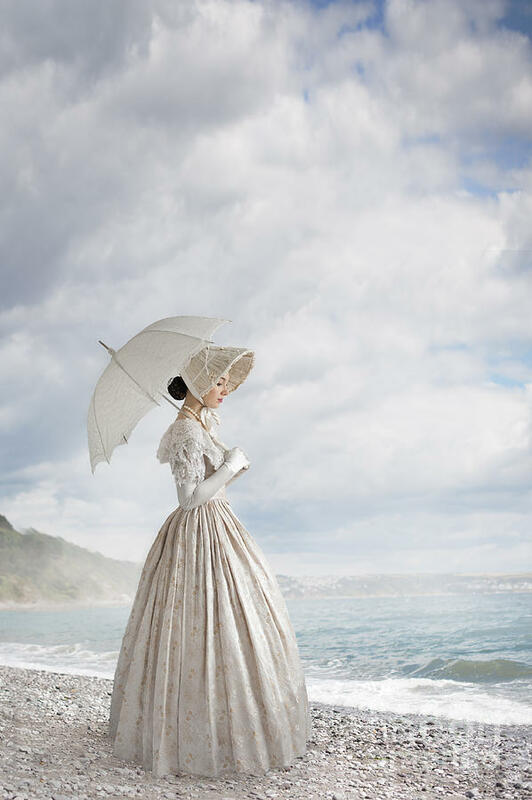 You might see the Lady on her evening walk, holding her parasol just so, and waiting for her love.